Mayonnaise is one of the kitchen staples that some of us use all the time, while others only from time to time. And if you belong to the second group, you probably wondered on more than one occasion if mayo can go bad. Most likely because it sat in the fridge opened for months on end. And at a certain point, even if it looks perfectly fine, you start to think how long does that stuff last. Or maybe you’re a bit hesitant about storing leftover salads or sandwiches with mayo. You’ve probably heard a few times that this condiment causes food to spoil quicker and that results in food poisoning. Thus you usually throw out leftovers with mayo as a precaution. And right now you decided to actually check if your fears have some truth to it or not. Either way, if you’d like to learn a bit about mayonnaise, this piece if for you. Below we talk about whether or not mayo goes bad, how to tell if it’s spoiled and if it requires refrigeration. If any of these topics sound interesting to you, continue reading. Will Mayo Cause My Salad Or Sandwiches To Spoil? For starters, let’s talk about stories of mayonnaise going rancid, causing other foods to go off early, and being a cause of food poisoning. In short, that’s a misconception ([WebMD][DM]). Mayo is highly acidic, which prevents bacteria from growing in it. Guess what’s not highly acidic and doesn’t protect itself much from harmful bacteria? The rest of the ingredients in your salad or sandwich. So if you ever got food poisoning from some food with mayo, the condiment is the least likely to be the culprit. The fact that it was there didn’t by any chance speed up bacterial growth. And if almost every time you got stomach pain was after eating food with mayo on a picnic, keeping food in warm temperature was probably the issue, not the presence of mayo. Okay, I think I made it clear, let’s now talk about spoilage of mayo itself. Can Mayo Go Bad? How Long Does It Last? 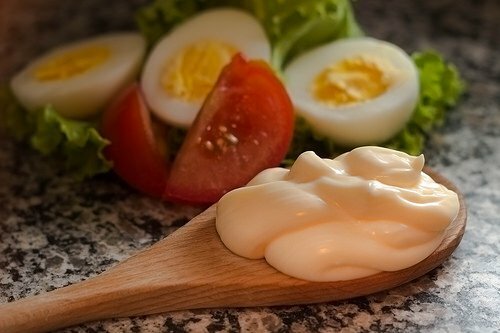 The main ingredients of mayonnaise are oil, egg yolks, and vinegar or lemon juice ([WIKI]). Besides the yolks, the rest of the ingredients lasts quite a long time and don’t spoil quickly. Hence the shelf life of mayo is quite long, often a year or even more. Each jar comes with a best-by or best-before date, which indicates the minimal period of how long the mayo should retain quality. And since mayo, besides the long-lasting ingredients, usually has some additional preservatives in it, it can easily last a few months past that date unopened. If you were to ask how long exactly, there isn’t a right answer. It all depends on the quality and ingredients of the condiment. So a mayo that contains little to no preservatives will keep well for a shorter period than one loaded with them. That’s true for pretty much any type of food. If it’s only a month or two past the date, it will probably be perfectly fine. And almost certainly won’t be spoiled. The worst case scenario is the oil starts to separate, and you will probably decide to throw it out for quality reasons. When it comes to opened mayo, it should easily last a few months in good quality if refrigerated. It’s quite similar to mustard or ketchup in that many people store them open for even half a year and they still taste perfectly okay. But when you notice that the quality starts to degrade, it’s probably time to let go of this jar and start a fresh one. Again, when that happens depends on the quality of ingredients used and the number of preservatives added to the condiment. If you wanted to know how long will your sandwich with Hellman’s mayo last, it depends mostly on the rest of the ingredients and how you store it. If it sits in the fridge, and well wrapped, it should probably last in decent quality for a day or even two. If it’s in your lunch box, the sooner you eat it, the better. I know some people will ask you to bring some ice cubes in your lunch box to keep the sandwiches cool, but that’s too much of a hassle in my opinion. Best to put the box in the fridge once you arrive at the office. If that’s possible, of course. And if you won’t finish your sandwiches by the end of the day, throw them out. So to answer the main question, mayo definitely can go rancid or spoil, but it takes quite some time until it gets to that point. 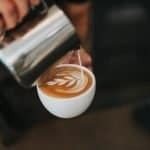 What’s more likely to happen is that you discard it because its quality is not good enough anymore, and not because eating it will make you sick. How To Tell If Mayo Is Bad? Okay, so you know that it takes a long time until mayo spoils in a way it’s unsafe to eat. And in most cases you will want to throw it out much sooner, that is once you find it unappealing. Let’s talk about how that might look like. When it comes to spoilage, look for any signs of mold, especially on the neck of the jar. The acidic or putrid smell is the second sure sign that the mayo is off. So if your mayonnaise smells like vinegar, it’s definitely time to throw it out. If neither is present, the mayo is most likely safe to consume. But that doesn’t mean it will be any good in terms of flavor. 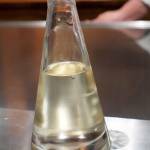 If the oil starts to separate, mayo turns yellow, or it takes on a noticeably darker shade, the mayo is quite old. And you should think twice before you use it in a salad or top your sandwiches with it. Same thing if the smell is altered, or you notice any changes in texture, thickness, or taste. In short, when in doubt, throw it out. If your mayo sits opened in the fridge for half a year, it’s probably better to discard it anyway. How To Store Mayonnaise So It Lasts The Longest? Store-bought mayo doesn’t require much in terms of storage. Room temperature is perfectly fine ([DM]), so a cupboard in the pantry or kitchen is perfect. Just don’t let it sit in sunlight and high temperature and it should be fine. Once you open the container, you can either leave it at room temperature or refrigerate it. Technically, mayo doesn’t require refrigeration so it won’t go bad if you accidentally left it out overnight. But it won’t retain quality for long at room temperature. Because of that, refrigeration of opened mayo is recommended ([DM]). So unless you plan on finishing the jar within a week or two, it’s better to keep it chilled in the fridge. To avoid any accidental microbial contamination, make sure to always use clean spoons to scoop mayo. I know you sometimes don’t feel like standing up and going for an extra spoon to grab some mayo, but that’s actually necessary. Especially if you have a big jar that’s just opened. If would be a waste if any bacteria got there and cause the may to spoil. Last but not least, freezing mayo alone isn’t a good idea. 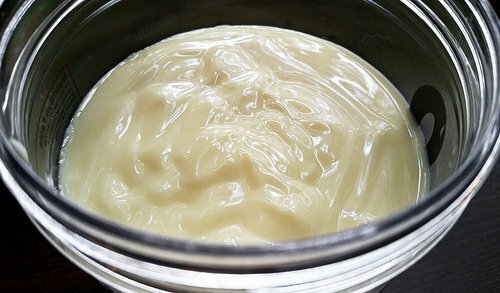 The thickness and texture of thawed mayo won’t resemble the original one much, and you’ll likely find it gross. 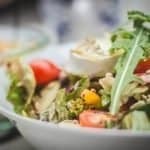 Similar thing for salads and sandwiches, and other dishes with mayo. The one exception here is baked goods where you use mayo as shortening. These tend to freeze well ([DM]). 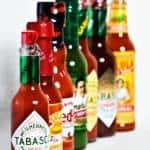 Can Tabasco Sauce Go Bad? Can Rice Vinegar Go Bad? 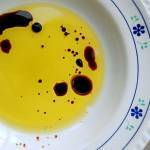 Can Sesame Oil Go Bad?